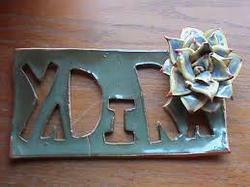 Handcrafted Nameplates to decorate the entrance of your house. 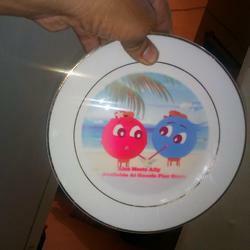 These can be customize as per customer requirements. - Size: 9.0" x 3.0" x 1.0"
In order to keep pace with never ending demands of the customers, our company is instrumental in offering Ceramic Name Plate. We are one of the leading distributor of Ceramic Name Plate. These Ceramic Name Plates are manufactured from qualitative range of raw materials. The nameplates offered by us are made in various sizes and shapes. The products offered by us are available at market leading prices.